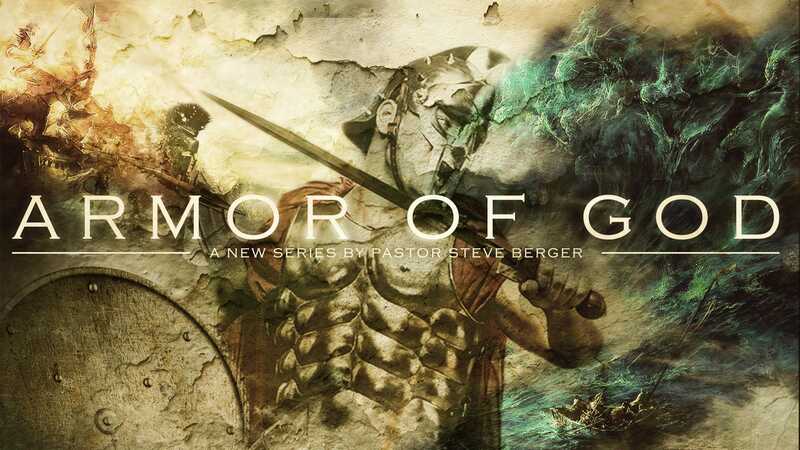 Pastor Steve teaches on the Armor of God, a resource God gives us in order to be victorious in spiritual warfare. In Part 8, Pastor Steve teaches on the final article of the Armor of God – praying in the Spirit and the gift of speaking in tongues. As a continuation of last week’s message on the Sword of the Spirit, our guest speaker, Pastor Don Finto, speaks on living and leading through the “Rhema” power of God. Pastor Steve teaches on the sixth piece of armor, the Sword of the Spirit. The Sword of the Spirit is the “now” spoken word (Rhema) from God in your present situation in order to accomplish the will of God. It is a spiritual weapon that makes the miraculous, kingdom-expanding, devil-defeating, will of God happen in and through your life. In Part 6, Pastor Steve teaches on the Helmet of Salvation, which is the hope of our ultimate salvation that we’ll experience when Jesus Christ returns. You must guard and protect the hope you have in the imminent return of Jesus Christ to earth! In Armor of God, Part 5, Pastor Steve teaches on three specific pieces of armor: the Breastplate of Righteousness, the feet covered with the preparation of the Gospel of Peace, and the Shield of Faith. In Part 4, Pastor Steve speaks to the power we have in the resurrection of Jesus, the exalted position we have in Him, and the provision He gives us in the Armor of God — all of which allows us to victoriously stand against the devil on earth. In Part 3, Pastor Steve continues to “de-mask” the enemy by expounding on the types of evil spirits discussed throughout scripture. Let’s understand the enemy so we can recognize his schemes and win! In Part 2, Pastor Steve teaches on the history of the fall and the names of the enemy. When we know his character, we can be better equipped to recognize his schemes.